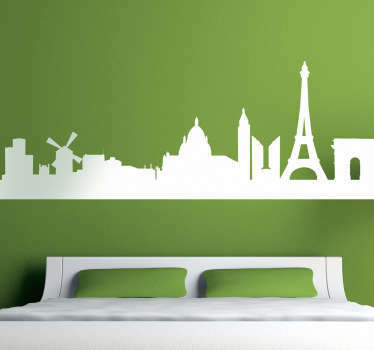 Skyline designs inspired by major cities from around the world. 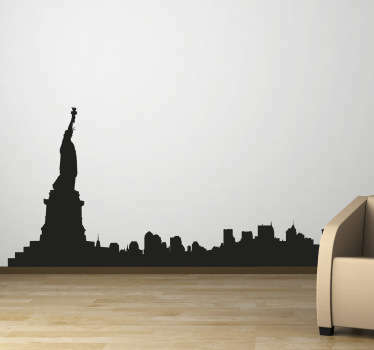 Silhouette designs ideal for decorating any space in a stylish way. 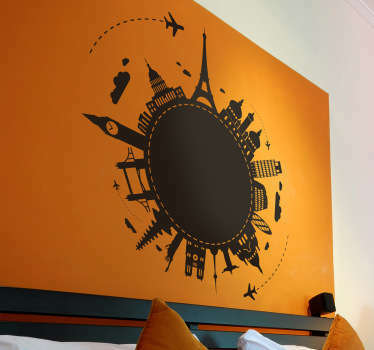 London, Shanghai, Sydney, Paris, Berlin and many more as well as a huge range of world map wall stickers to decorate your bedroom, living room or office. 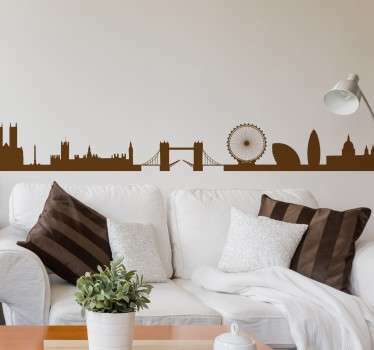 Looking for something chic and modern to decorate the walls of your home with? 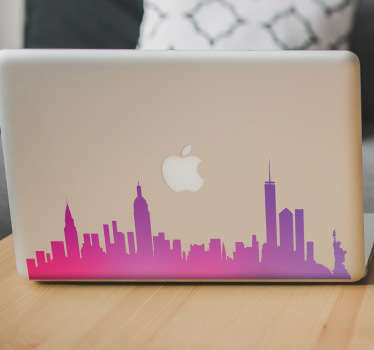 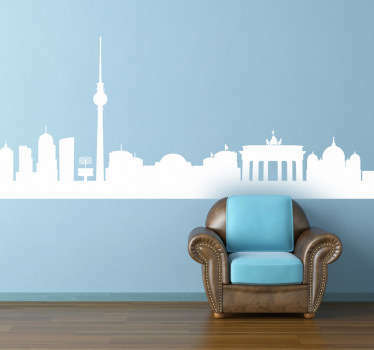 A city skyline decal is an ideal choice to add a special touch to any room. 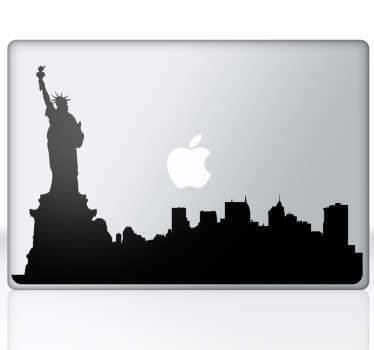 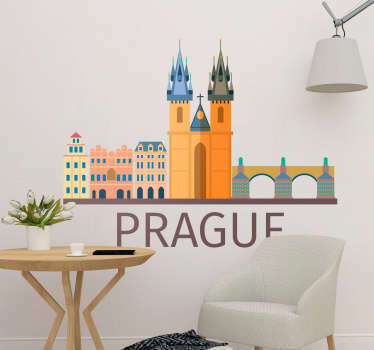 With this wide range of designs you are sure to find a great sticker of your favourite city or even your home town. 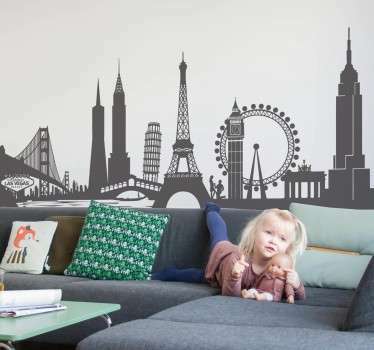 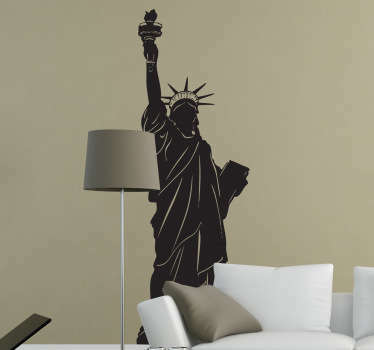 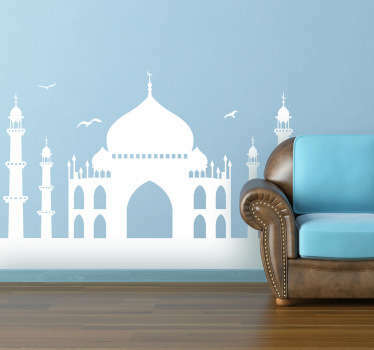 Bring a cultural and cosmopolitan touch to your home with a skyline decal that includes iconic buildings and monuments from world famous cities.